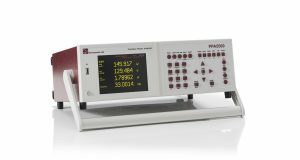 In September 2006, the launch of our PPA2500 Power Analyzer introduced leading power measurement performance in a compact, cost effective instrument that quickly developed a reputation for exceptional accuracy and stability in the most demanding of power applications. Now, the PPA5500 series extends our power analysis range still further for those who need the ultimate power analysis product, this is the top of the range model offered by N4L and rightly deserves its place. 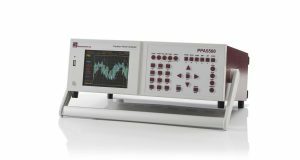 While maintaining the wide frequency range and exceptional noise rejection for which the PPA2500 has become renowned, the PPA5500 series add increased voltage and current measurement ranges, greater processing power, increased memory, real time clock, high contrast colour display, 1GB non-volatile internal memory and external USB memory port. A 2MS/s sample rate, alongside “True Real Time” no gap analysis are a formidable combination for the analysis of power, this – along with innovative analogue front end design provide truly exceptional measurement stability and accuracy. 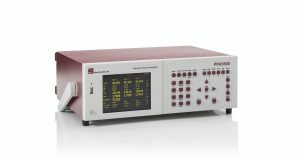 The phase angle accuracy of the PPA5500 is 0.005 degrees, this is perfect for transformer loss analysis testing at very low power factors. Please take a look at our Power Analyzer Tutorial Series which demonstrated the speed and versatility of the PPA5500. All PPA5500 units are supplied with UKAS ISO17025 certification as standard, this is performed at N4L in the UK in our accredited ISO17025 Laboratory. 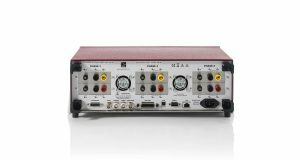 Every PPA5500 Power Analyzer supplied by N4L is provided with both a UKAS Accredited calibration certificate up to 850Hz, as well as a UKAS Traceable calibration certificate up to 2MHz. N4L have developed a number of bespoke power calibrators in order to verify the accuracy of every power analyzer supplied over its entire frequency range, this is surprisingly uncommon within the instrumentation industry. Furthermore, development of an ISO17025 (UKAS) accredited Closed Loop Calorimeter in partnership with Oxford University (UK) has verified the performance of the N4L custom designed power calibration rigs with a very low uncertainty level, providing absolute confidence that the wide band performance of all N4L power analyzers is market leading. For all Software Downloads please visit the “SUPPORT” section of our website. Operating Conditions 5 deg to 40 deg ambient temperature (or air intake temperature when rack mounted), 20-90% Non-condensing relative humidity.